Our world is teeming with the strife of war, the spectre of genocide. The chasm between wealth and poverty grows with every hour. Evil men rule the day, grasping at their chains of power. In a land held hostage, with even the name of the country in contention, though recognized by the UN with little dissension—and even less international aid, hardly worth the mention—the nation now called Myanmar reels with anguish and persecution. Even as it stands at the brink of Freedom. 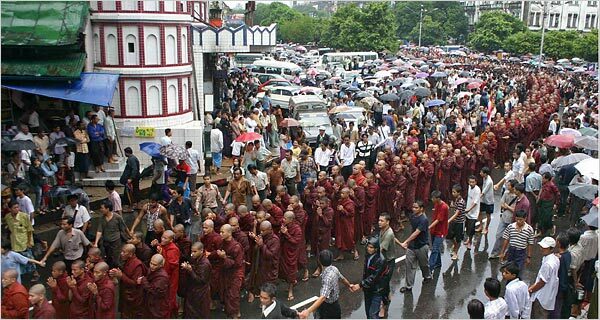 Tremors rumble across the country, as more and more Burmese begin to resist, only to be struck down. Yet for every one returned to the Earth, another rises. With this poem I address the Junta of Burma. Ruthless, blood-hungry Generals with your dispassionate decrees, and Death Squads set loose like jackals upon your citizenry. Right down to the faceless functionary, with a fraction of power to be wielded mercilessly—your pens are as bloody as any sword could hope to be. Humbly, I beg you, wipe clean this awful slate, upon which you write Burma’s fate: turn away from the empty security of a Police State. It is better to have freedom with danger, than to have security with slavery. I beg you, fuel the ember of compassion within you, which you have secretly protected against the long winter of fear. 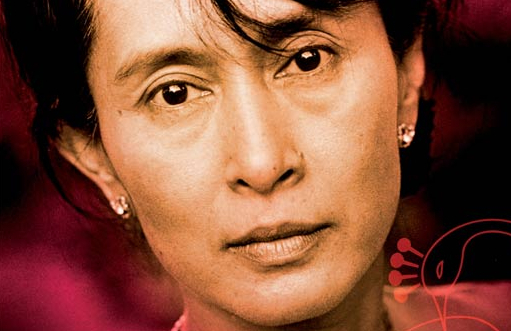 Finally, I beg you, for the sake of your people, set free Daw Aung San Suu Kyi. 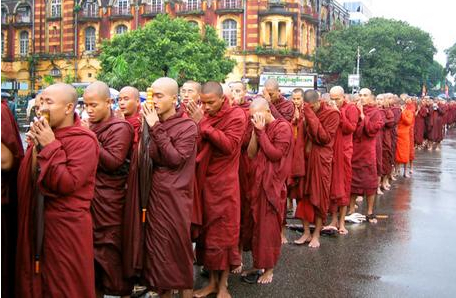 in solidarity, in despair, on the streets of Sittwe. against armored thugs with riot-guns. cannot with beatings or bullets be quelled. like a broken string of prayer beads. unwilling to face atrocity and remain mute. sacrifice have made them truly holy. a saffron river to dispel discontent in those who remain. And what of the monks taken alive? This entry was posted on November by Dawn Runs Amok. It was filed under Hoi Polloi—Protest and Dissent, Poetry by DC McKenzie and was tagged with Aung San Suu Kyi, Buddhist Monk, Burma, Junta of Myanmar, Myanmar, poetry, protest.